These weapons are pretty cool with their mix of black miasma that goes over the bright blue holorgram-like weapons. One of the best features of these weapons is also the fact that, when stowed, the blue disappears and you are left with the thorned weapon handles. Really great kit and I absolutely LOVE the Speargun. 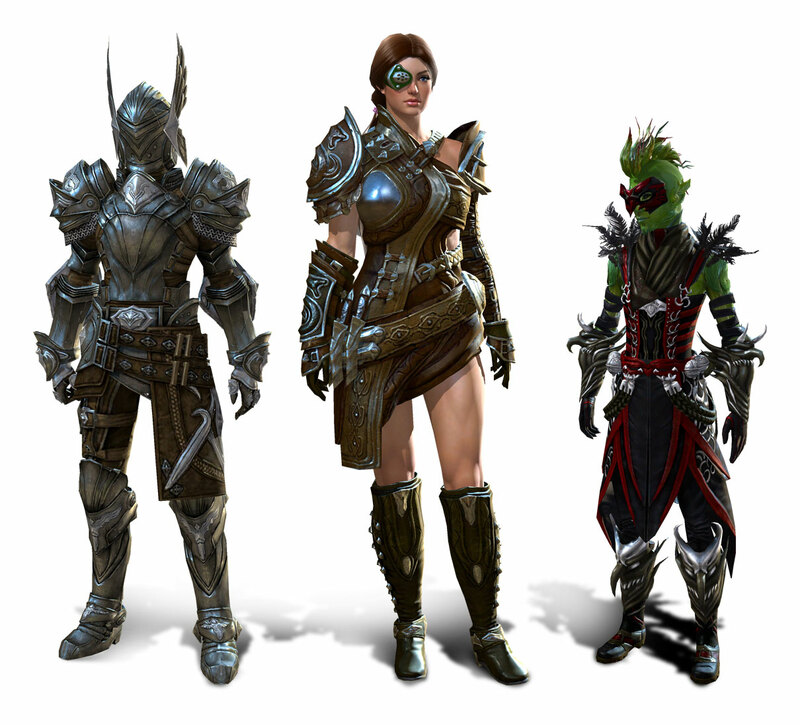 Posted by admin on 10/30/2013 Comments Off on Guild Wars 2 New Armors and More Available in the Gem Store! 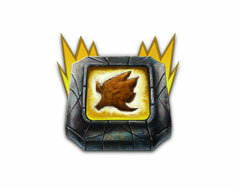 Charr– An imposing race with feline features, the Charr are fierce combatants. Their culture is extremely militaristic, relying on strict discipline and ingenuity to secure their place in Tyria. 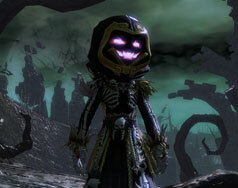 Asura – An entire race of mad scientist midgets, the diminutive Asura have towering egos and a rodent-like appearance. Obsessed with advancing all forms of science and magic, they never miss a chance to remind everyone of their superiority. Sylvari – Plants imitating Humans, the Sylvari have an elvish nature and leaves, bark, and stems for flesh. Their earnest and curious nature is owed to their recent introduction to the world of Tyria, and they believe it is their duty to protect it from the Elder Dragons. Warrior – A versatile weapon master, the Warrior wields blades, guns and blunt instruments with unmatched proficiency, using them to tear through battle in a fury and build their adrenaline levels to unleash terrifying blows. Exemplifies the Knight or Berserker archetype. Guardian – With heavy armor and fanatical conviction, the Guardian uses massive Hammers and Greatswords to smash enemies, unbreakable Shields to defend themselves, and holy magic and virtues to help allies or trap foes. Exemplifies the Paladin or Magic Knight archetype. Thief – Specializing in stealth and poisons, Thieves rely on traps and tricks to escape from bad situations, aid allies, or get in position to steal from and assassinate their opponents with devastating attacks using Daggers, Swords, or even Pistols. Exemplifies the Assassin or Rogue archetype . Engineer – Possessing the most ingenious machines and potions throughout Tyria, Engineers use their cunning to modify their Pistols and Rifles with new tricks, wield a number of gadgets and explosives, and empower themselves with potent Alchemical concoctions. Exemplifies the Mechanic or Alchemist archetype. Ranger – With the ability to command nature’s most fearsome beasts, the Ranger also uses Long Bows to attack from afar, Greatswords to face a charging enemy and nature magic to fortify themselves, their pets, and allies. Exemplifies the Hunter or Archer archetype. Elementalist – Able to harness the immeasurable powers of the elements, Elementalists use Staves and Daggers enchanted with Fire to devastate their enemies, Air to zip around the battlefield, Earth to protect themselves and Water to restore their allies. Exemplifies the Mage or Wizard archetype. Mesmer – Bending the fabric of reality itself, Mesmers manipulate minds and bodies with Staves, Swords and Greatswords to help or harm others, open portals for allies and create illusionary clones to distract enemies before shattering them for powerful effects. Exemplifies the Illusion Mage or Magician archetype. Necromancer – Controlling the forces of life and death, Necromancers channel their power through Staves, Daggers, or Foci to summon horrific creatures of rotting flesh, curse their enemies, or even drain life away before using it to fuel their most fearsome spells. Exemplifies the Death Mage or Lich archetype. Guild Wars 2 is the sequel to the immensely popular game Guild Wars, which was one of the first massively-multiplayer online games (MMO) to feature no subscription service. Guild Wars 2 continues the trend and will not require players to spend any money after they’ve purchased the core game, though it is expected that some sort of paid expansions will exist (as they did for the original game). 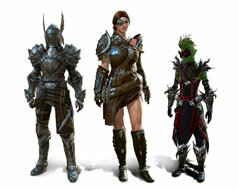 At launch Guild Wars 2 will feature five playable races and eight playable professions. Any race can be any profession, and aside from a racial bonus each race has the same stats as the other. However, your racial choice will impact how NPCs react to you in a system known as sympathy. Some races are more likely to react favorably or unfavorably to certain other races, though no playable race is universally hated. These differing reactions will have an impact on each player’s experience of the game. Unlike most MMO games each profession does not fit into a pre-defined role such as healer or damage dealer, and instead any profession is capable of filling any role based on how the individual player chooses to play the game. During character creation the player can make some choices for the history of their character. Below is the list of races and professions that are available in the game with some details to help you decide if any of these races and professions might appeal to you. 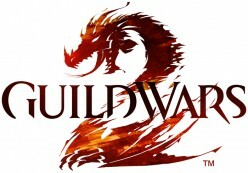 About Guild Wars 2, The Combustion Will! 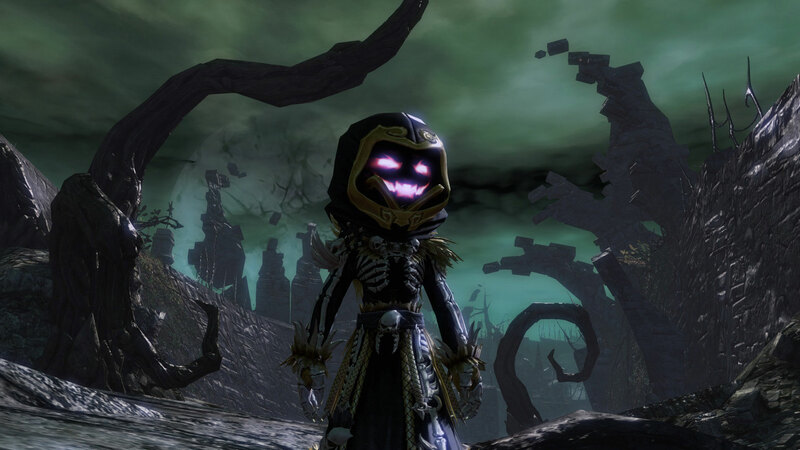 Posted by admin on 10/28/2013 Comments Off on About Guild Wars 2, The Combustion Will! Guild Wars 2 redefines massively multiplayer online roleplaying games with visceral, action-orientated combat; a gorgeous, living world full of constantly evolving dynamic events; customisable personal storylines that are unique to each player; intense Player vs. Player combat between small teams or massive armies; and most importantly, a shared online world where players work together as allies instead of as rivals – all with no monthly subscription fee. Dynamic Events: Explore an ever-changing fantasy world where your actions have a real and persistent effect on your surroundings. Dynamic events respond and change based on how you react to them. Will you defend that village from rampaging centaurs or let it burn? The choice is yours! Personal Stories: Your personal story begins with key decisions you make when creating your character’s biography and then evolves with each fateful choice you make in the game. You decide who lives, who dies and what path you’ll walk in life, and those choices have a lasting effect on both your personal story and your private home instance. Action-Oriented Combat: Experience a new kind of high-impact, fast-paced combat. Attack on the move, dodge and roll away from enemy blows, team up with other players for powerful combos, take advantage of handy environmental weapons, and unleash spectacular skills and spells. Guild Wars 2 is putting the fun back into fantasy combat. Sprawling Dungeons: Only the most experienced groups of adventurers dare enter the dungeons, huge private adventure areas where the risks are immense but the rewards are great. Dungeons take many forms, but in each you follow a gripping plot in story mode and then branch into the even more challenging free-roaming explorable mode. Competitive PvP: Face off against small teams of other players in intense matches where skill and audacity determine the victor. Battle over key objectives on a wide variety of maps loaded with game-changing secondary objectives like cannons and trebuchets. Make a name for your team during the daily, weekly and annual PvP tournaments. Worlds Collide: Prepare for battlefield combat on an epic scale! In world vs. world, armies of hundreds of players from competing servers wage war across four sprawling maps, seizing objectives and scoring points for their side. Lay siege to castles, raid enemy supply caravans, build weapons of war and clash with other players in truly massive battles. There’s always something to do on the battlefield and new players can start WvW right away! No Subscription: Get the game and play online for as long as you want. It’s that simple. You deserve, come and fight it! Hello All!Guild Wars 2 has been throwing out content quicker than most casual players can complete it. For all the goodness that this brings (much of the content is unquestionably good) I do feel ArenaNet’s priorities are a little strange with much of this content forgettable, temporary and inconsequential distractions from ‘meaty’ content players are seeking. I would go out on a limb and state that a large proportion of the player-base would happily see an update once a month if it meant that the content was permanent, to a high standard and offered true long term potential. What I keep coming back to though, when I think about the content that Guild Wars 2 is missing, tends to be the same thing by me and many others. I must also add that much of this editorial was sparked by Distilled Will’s opinions on the state of Guild Wars 2 as an E Sport. This might sound as though I am banging a drum that has been beaten to death, but I do genuinely scratch my head at one of the finest additions to the entire genre to totally ignored by those who created it. My cynical side tells me that there is more at work behind the scenes on why they can’t do it, as to why they can. Whether it’s a naming rights, technical limitations on the engine or the fact that NCSoft just won’t let them do it, but to disregard an entire game type that would not only give Guild Wars 2 a huge audience but please absolutely everyone in the game, it’s hard to understand the logic. There was something truly amazing about Guild Wars 1′s Guild versus Guild matches. They were fierce, competitive and became make or break moments for many guilds. 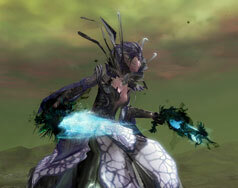 Forget about some minor nerves you might experience during a game of conquest in Guild Wars 2. Thing nerves you had at the prospect of missing an interrupt on the opposing guilds healer or the rush when one of their players down was explosive. It really was such pivotal game-play. That isn’t to say that taking down a particularly challenging bunker guardian isn’t satisfying, but it makes little impact in a capture point map when coordinated teams compensate by moving points quickly. What’s frustrating in all of this (despite my feelings that Guild Wars 1 offered a much more tactical and challenging PvP game) is that the adaptation necessary for the current structured PvP formulae, to work as Guild versus Guild, wouldn’t be particularly huge. ArenaNet have clearly demonstrated their prowess when it comes to the design of some structured PvP maps, so why not pull resources away from the Living World teams and instead invest that man power into a truly long term project? There would be a requirement to implement an infrastructure that supports GvG, such as the ability to teleport to your instanced Guild Hall, rankings for guilds (successful or unsuccessful) alongside a new layout on dedicated maps, but is that really outside the realms of possibility? Considering the Living World teams have thrown out dozens of new maps and instanced content, I genuinely believe the diversion of resource would be worthwhile. Perhaps if GvG was to be implemented the dozens upon dozens of people who fight outside the windmill in World versus World, hogging queue space and creating their own sloppy system, wouldn’t have to. Yes ArenaNet have said they’re attempting to rectify this by giving them their own “space” but isn’t that a plaster on a gaping wound? The player base is pining for structured GvG with rankings, Guild Halls and true public competition. Sadly for us none of the justifications from ArenaNet sound logical or justified. This leads me onto my final point and leading on from Distilled Will, which he summarises so well. We need a fully functioning spectator system to support both structured PvP and Guild versus Guild. Guild Wars 1 demonstrated that these two game types could co exist and more so on the basis that we also had Heroes Ascent. So the requirement to be able to record matches, replay them and allow innumerable people to spectate will really aid in Guild Wars 2 reaching its potential. As much as a supporter as I am of the Living World (the Bizzare of the Four Winds will take some beating) I sadly want something tangible and permanent that my guild and I can all participate in, all of the time, that is much more intimate than World versus World and much more competitive than structured PvP. Guild versus Guild is the answer to that problem. The elementalist is skilled at mid and long ranged combat, using the elements to their advantage to decimate their foes and help their allies. While having no “true” role, the majority of elementalist skills focus on raw damage (fire), burst/spike (air), control and conditions (earth), defense / support (water), and utility (arcana). Those are generalizations, of course, but ultimately the elementalist can carry on many different roles and switch between them fluidly, thanks to the unique elemental attunement ability. One of GW2’s three Scholar professions. Able to wear Light armor. Can switch between four attunements, changing the weapon skill bar, at the cost of not being able to change weapons in combat. Can equip staves, daggers, foci, and scepters and switch between four sets of skills on each using the attunement mechanic. We’ll talk more in-depth on the attunement system later, but for now let’s do a quick overview of how the elementalist profession differs from everyone else. 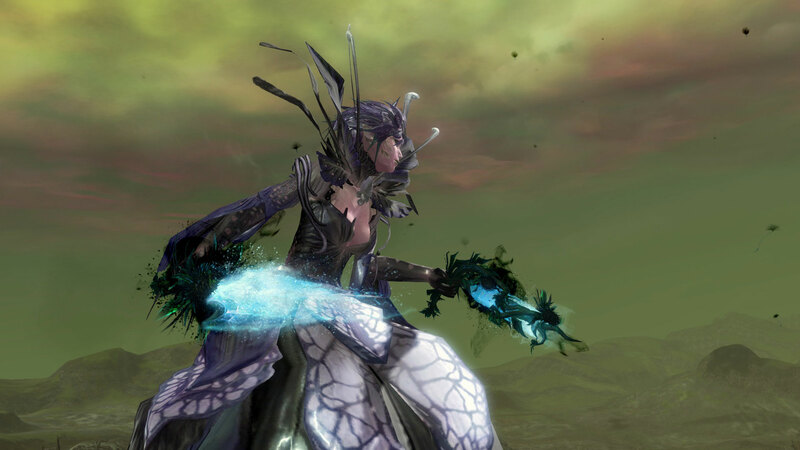 First, they wear light armor like the other two scholar professions, but they differ greatly because they do not focus heavily on survival and conditions like the necromancer nor do they focus on control and illusions like the mesmer. Elementalists focus on variety, switching between different roles on the fly by attuning to different elements. ​Elementalists can rain death from the ramparts. There are only four weapons in the elementalist arsenal, one two-handed weapon (staff), dual-wield (dagger/dagger), main-hand (dagger, scepter), and off-hand (focus). There is no in-combat weapon set switching either, like every other profession. Instead, each weapon has four sets of skills that are attuned to a specific element. The elementalist can switch between the different elements at will, giving them a total of four weapon sets they can switch between. The tradeoff is that each set of skills, while having a different purpose, still follows the general weapon theme (AoE/ranged/close combat). Like other professions, the elementalist comes with its own set of unique skills. Glyphs mostly give passive bonuses for the element that an elementalist is attuned to. Conjure skills can summon weapons for both the elementalist and its allies, these weapons have their own unique skill bars. Cantrips give the elementalist additional survival. Auras provide a positive passive benefit to your character. Arcane skills are non-element magic based skills. The elementalist is a direct damage support profession, half of the skills focus on dealing direct damage; while a fourth focus on healing, and another fourth focus on control. This makes them a jack of all trades and a master of most, but it’s important to know that while capable of a lot, knowing what to be capable of when is the primary finesse of the profession. Another big theme with the elementalist is combo fields. Many of the abilities an elementalist have create combo fields, which synergize with other professions’ abilities. For instance, a Ranger who shoots an arrow through a Fire Wall will gain burning on their attacks. This gives their attacks additional utility when combined with others. As mentioned previously, the elementalist only has access to four different weapons, although daggers double as a main-hand and off-hand. The strongest weapon is the staff, which while focused primarily on AoE abilities, has the most complete set of tools available. Scepters serve as a primary single target build, while daggers focus more on close range combat. You can read more about forming builds in ourIntro Guide to Builds. The weapons that elementalist can equip along with their associated skills can be seen in-game by opening the Hero window [H] and selecting the Skills and Traits tab on the left. You can see a list of available weapons for the elementalist below. Upon reaching level 11, you will begin earning Trait Points (1 per level for a total of 70 at level 80) that can be spent in any of the five available Trait Lines. Each point spent will increase 2 primary or secondary attributes, with every 5 points spent unlocking either a Minor or Major trait. The trait lines for the elementalist are listed below, along with their associated attributes and weapon or utility skill type associations. The unique mechanic for the elementalist is attunement, which allows you to have four different weapon skill sets per weapon, at the cost of not being able to switch weapons in combat. You can change attunements freely, although the attunement you’re changing from will have a 15 second cooldown and a two second cooldown for the remaining available attunements. The biggest thing about attunements is knowing what element serves what role and when that role is needed. For instance, if it’s about constant damage, odds are you’ll want to be in fire, while burst / spike damage will want you to be in air, support will be water, and control is earth. For instance, if you need to heal yourself or others, then you can switch to water will provides various support abilities. If you need to apply conditions, earth is the go to element. It works pretty much like traditional weapon switching, you switch to the skill set that you need, except you have two additional skill sets to pick from. Since you can’t switch weapons, you will be at a disadvantage if you need to switch from say a super defensive build to a super offensive build, like a warrior going from a two-handed weapon to a sword and shield. Understanding that, it’s important to pick the right weapon type before battle and the accompanying skills to form your build. Thankfully, skills like glyphs will apply themselves depending on the active element, making it easier to build out an elementalist. The first thing you’ll want to do is rebind the keys for each attunement. You’re going to be switching a lot, so having them closer to your fingers than F1, F2, F3, and F4 is probably wise. Unless, of course, using function keys is part of your normal routine. If you’re looking at making a Swiftness build, then choose a staff forWindbourne Speed and Glyph of Elemental Harmony. You’ll be able to maintain Swiftness for 20 seconds every 30 seconds. Updraft can be used as well, but it has a 40 second cooldown. Signet of Air is another good choice, as it gives you a passive 10% movement speed increase. Since Swiftness is so valuable, you may want to have Glyph of Elemental Harmony if you are not going to have Windbourne Speed or Updraft in your build. ​Mist Form ​is great both while alive and while downed. While alive it can get you into keeps or through a rough spot where you’re about to die. When you’re downed, you can use it to get out of harms way, back into a keep, or just in a better spot to be resurrected later. Remember how fragile elementalists are compared to say, necromancers or guardians. Keep distance between yourself and your target is usually a better option than trying to soak up the damage. Be sure to use the different forms of crowd control to kite enemies around while you focus on killing them or rely on your allies to guard you in combat.